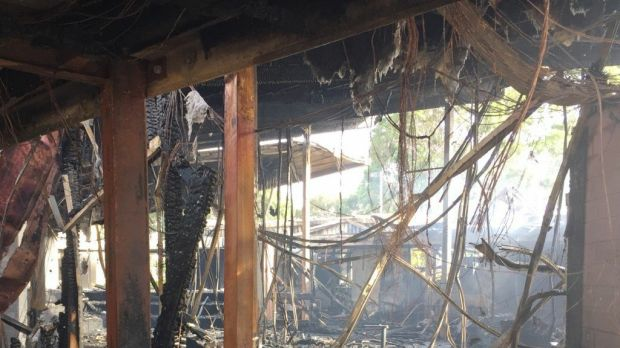 Large fire destroys classrooms the..
10 classrooms and a social room have been destroyed by a large fire inside the Wesley College campus at Glen Waverley. Dozens of emergency crews were called to the scene around 5.30am. Fire fighters battled the blaze for several hours before it was declared under control. Witnesses have described hearing explosions 5.30am on High Street Road. The fire is not yet under control and the extent of the damage is not yet clear. Wesley College advises students and parents and staff of the Glen Waverley campus that all classes have been cancelled today due to a significant fire this morning. The fire is contained in the Atrium Building of the Middle School building and the cause is not known at this stage. Thankfully, there are no reports of injuries. Wesley College thanks the Melbourne Fire Brigade for their efforts in containing the fire and parents will be provided with updates as further details come to hand. Classes at Wesley’s other campuses are not affected.